When it comes to find the perfect dress for the perfect day, we don’t want to look like to the other brides. We want to be unique and special. 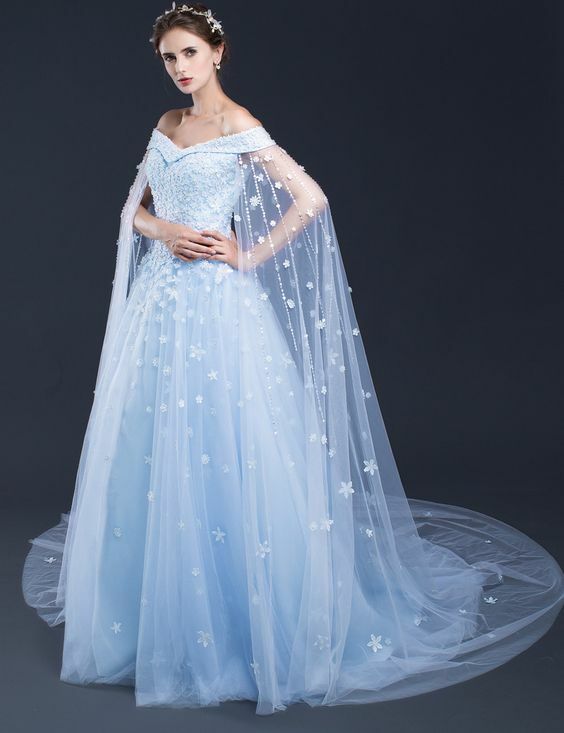 Ball gowns, mermaids, trainee, and petticoats, we try everything to be the princess of our childhood, of our dreams. So why not try to add some colors to our white and pale dresses? 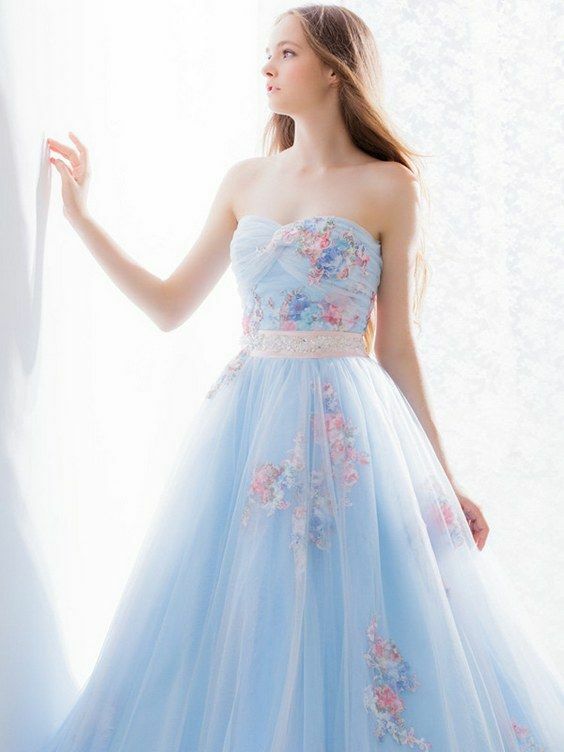 Randy Fenoli for Kleinfeld introduced us a pastel-blue ball gown dress with sheer bodice and full skirt with 3D flower appliqués. Volume and lightness! Light Blue and White Wedding Dresses are definitely not the mainstream, however if you love the special color as much as we do, then go for it! The dress is the perfect match of runway shows and some elegant minimalism and you are still the queen of the day. Imagine those dresses with an ivory fur wrap: stunning for a wedding under the snow and pictures with snowy landscapes! Frozen? Yes that comes to mind, wearing something like this will definitely make you unforgettable for many years to come. “Something Blue” is a traditional thing of the past, now it’s time for All Blue!